With all of this hot summer weather, we are craving ice cream almost daily. When we’re not making our own homemade ice cream and serving it up for a sweet ending to our guests’ breakfasts, we like to explore some of the unique ice cream spots around the Charlottesville area. Here are three of our favorites that you’ll have to try when you’re in town. back to! It is right in Crozet and about 15 minutes from the Inn. Spend an evening visiting this lovely little town where you can sample wine at King Family Vineyards and eat dinner at the great BBQ joint Smoked, and top it all off with delicious, creamy, homemade ice cream! 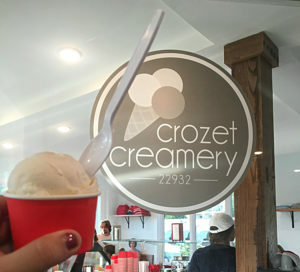 Crozet Creamery boasts unique flavors that rotate and change often. There is always something seasonal and festive on a holiday- they even had a Peeps flavored ice cream around Easter time! Your classic chocolate and vanilla are fantastic here, and you’ll also find more common flavors like rocky road. But the uniqueness of the rotating flavors like strawberry shortcake, banana chocolate puddin’, and cherry amaretto chocolate chip. You might not find these exact flavors when you visit, but you can be sure you’ll find something delicious to suit your sweet tooth! Charlottesville on Cherry Avenue. It is quite the hidden gem. However, if you’re in downtown Charlottesville and craving ice cream, it is worth a detour to Cherry Avenue! La Flor Michoacana makes everything fresh, including their homemade ice cream and “peletas,” which are Mexican style popsicles made with fresh fruit and water or milk. They even make their own toppings (including fresh fruit ones). It is their goal to serve up the freshest sweet treats possible and their goal is definitely met! This family owned spot is the perfect place for unique, delicious, and fresh ice cream or popsicles! 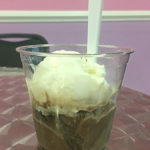 Splendora’s Gelato Cafe– Right on the Historic Downtown Mall, you’ll find the ever popular Splendora’s. 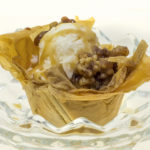 This isn’t traditional ice cream- but rather it’s richer, creamier, Italian cousin- gelato! It is locally owned and boasts a large counter full of delicious gelato flavors. It is the perfect spot for something sweet when you’re at the Downtown Mall! Splendora’s will serve you the flavor of gelato of your choice, or an entire sampler platter of their delicious flavors. You can’t really beat this creamy, dense, flavorful treat. They serve up to 34 flavors daily including traditional Italian flavors like pistachio, more American flavors like cookies & cream and chocolate coconut coffee! Don’t pass up a chance to try this delicious Italian style ice cream! Though all of these ice cream shops are fantastic, if you do stay with us, just know you won’t have to venture out for ice cream! We make and serve homemade ice cream as a breakfast dessert, as I mentioned before! We do all sorts of flavors and try to use the fruit of the season (peach right now, plus always vanilla bean). We also make sorbets, and right now we have mango we serve with roasted apricots! We hope we’ve tempted your taste buds into visiting Charlottesville and staying with us! We love to try local ice cream and create our own homemade because both are just perfect for the summertime! This entry was posted in Charlottesville, Charlottesville VA, Restaurants, Things to Do and tagged charlottesvilleVA, ice cream, summer by Foxfield Inn. Bookmark the permalink.